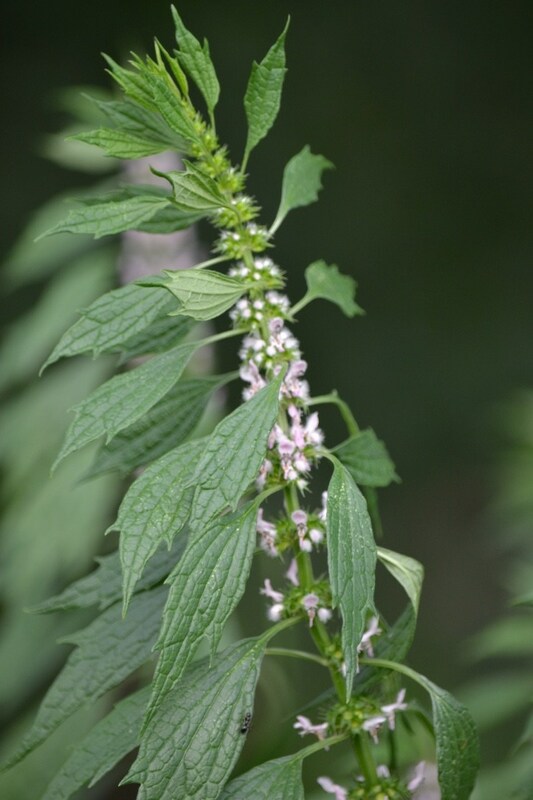 Motherwort is long standing in treating conditions in women associated with hormonal changes. This herb is also used to aid in nervousness, restlessness, and anxiety. Motherwort has diaphoretic properties which are used to stimulate the colon and kidneys as well as relaxing the uterus. Leonurus grows voraciously in the garden and can reach up to 6 feet. It blooms from mid to late summer. You can harvest it anytime after flowering. After that, dry it. You can make a tincture from the dried plant, or store and use as a tea. Divide the roots in fall, and remember that it is in the mint family, so Leonurus will reseed and take over if you are not careful. Anxiety in menopausal women, headache, insomnia, dizziness, hyperthyroidism, hormonal problems, heart palpation during pregnancy, menstruation, and menopause. Uterine disease, HBP, hyperthyroidism with heart symptoms, bloody urine from kidney stones, vaginismus, cramps, pelvic inflammatory disease. Irregular menses in puberty, menstrual cramping, delayed menses, fevers, colds, chills, influenza, numbness in limbs. Harvest after flowered. Dry for use in fresh alcohol. (1-3 drops/1-3x’s day) or make and infusion from 1 oz. of dried herb to a pint of boiling water, taken in wine glassful doses. To prepare a tea, steep one to two teaspoons of dried herb per cup of boiling water. Steep for 10 minutes. You should only consume up to three cups of the tea daily. Wort is an Old English word meaning “to heal”.